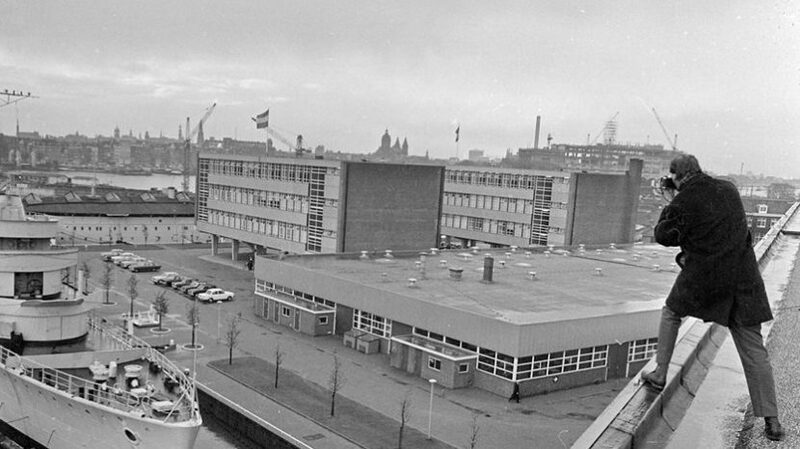 The development of the Marineterrein Amsterdam is not running the traditional course of progression. In contrast to traditional project developments, this project has no final goal or plan of functionality. Instead, themes have been created within which developments will take place. Only once sufficient character has been built up, will the grounds be put on the market. The express wish of the Municipality of Amsterdam and the Dutch government is a gradual trajectory of growth on the basis of a gradually growing consensus. This innovative approach has been agreed upon in an administrative agreement and will be completed by Bureau Marineterrein Amsterdam. The Dutch government and the Municipality of Amsterdam commissioned the Bureau together. The progress and completion of the project will be monitored by a steering group on which the Dutch government and the Municipality are represented. The advantage of taking a gradual growth approach is fewer financial and planning risks. Small steps are easier to correct and are less costly than large plans. Furthermore, the prospect of cohesion and interaction is improved, as the owners and users will be working together on completing the character of the property instead of working towards the completion of a predetermined master plan. It is the intention of the administrative agreement and the supporting strategy document to allow the area to grow in value. This includes economic value as well as societal values such as sustainability, integration with the city, and the improved profiling of our international identity. Growth in terms of societal values is important to the owner, the Dutch government, which can then economically and socially distance itself from the property, as well as being important for the Municipality of Amsterdam which can then decide in which direction they would like this new part of the city to develop. During the period of directional and temporary development, the Dutch government will retain ownership of the grounds and buildings. Hereafter, the grounds can be sold to the Municipality, or upon their refusal to other parties. From 2018 onwards, the planning frameworks will be worked on. In the meantime, temporary leases are creating value and direction. The final completion, which includes the building of homes, is projected for 2028, perhaps even earlier. The curiosity to learn about new cultures, fields, techniques, and opinions. No fear for the unknown. Enterprising and resourceful. The desire to discover. Actively combining knowledge, contacts, and resources. Innovative combinations of technology, science, and entrepreneurship. Aimed at mutual understanding and benefit. Cooperative and able to organize efficiently. Focused on content. Concentrated and goal-oriented. Sustainable and serious. Unperturbed and undisturbed. Peace and concentration. No-nonsense attitude.